Codependency often affects a spouse, parent, sibling, friend, or coworker of a person afflicted with alcohol or drug dependence. It is an emotional and behavioral condition that affects an individual’s ability to have a healthy, mutually satisfying relationship because one person supports or enables another person’s addiction, poor mental health, immaturity, irresponsibility, or under-achievement. According to Mental Health America, codependency is a learned behavior that can be passed down from one generation to the next. The result is a dysfunctional family where members suffer from fear, anger, pain, or shame that is ignored or denied. How can caring for an addicted loved one be dysfunctional, or in any way wrong? Isn’t that what families do? Well, yes and no. Yes, to loving an addict unconditionally, but no to placing too much emphasis on a person who is sick. 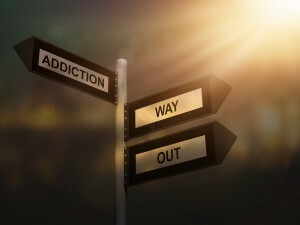 When attention and energy focus on the family member who is ill or addicted, the codependent person typically sacrifices his or her needs to take care of the addicted person. When codependents place other people’s health, welfare, and safety before their own, they can lose contact with their own needs, desires, and sense of self. And in this case, no one wins. The addict is not forced to confront and change his or her behavior with the codependent running emotional interference. How Can You Change Codependent Behavior? The first step in changing unhealthy behavior is to understand it. Codependents and their family members need to educate themselves about the course and cycle of addiction and how it extends into their relationships. Libraries, drug and alcohol abuse treatment centers, and mental health centers offer educational materials and programs to the public. While there are numerous online resources, you can begin here. Any caretaking behavior that allows or enables addiction to continue in the family needs to be recognized and stopped immediately. The codependent must learn to identify and embrace his or her feelings and needs which includes learning to say “no,” learning how to be loving (yet tough), and learning to be self-reliant. If you suspect your own good intentions are getting in your own way, take this codependency quiz to determine where you are on the codependency spectrum. The more you understand codependency, the better you can cope with its effects. Reaching out for information and assistance can help you and your family live a healthier, more satisfying life.